04 Apr 2018 / 19:17 H.
KUALA LUMPUR: Cases involving marriages and divorces can be resolved up to four times faster following the establishment of the Marriage, Hadhanah and Nafkah Special Court. 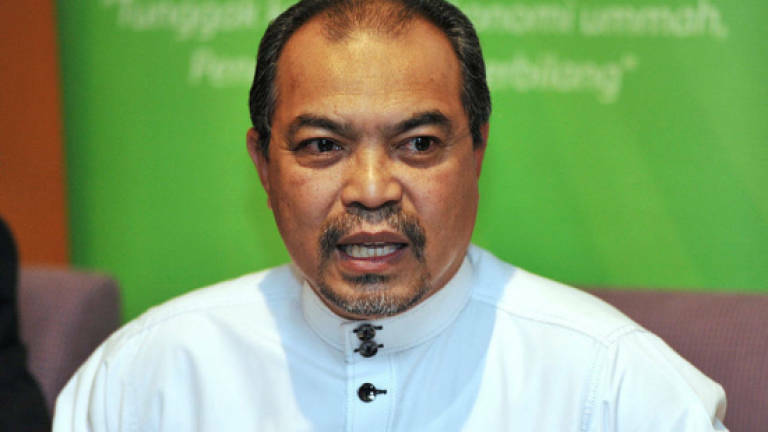 Minister in the Prime Minister's Department Datuk Seri Jamil Khir Baharom said the setting up of the special court at the Federal Territory Syariah Court here was the first in the country and would come into effect immediately. "Normally, cases of divorces, hadhanah (child custody) and nafkah (maintenance or allowance paid to a man's separated wife) takes quite long to settle, and this affects the family members and those around them. "We hope by the setting up of this special court, cases can be solved faster, and many other states also follow suit to set up one of their own," he told reporters after launching the special court, here, yesterday. Jamil said feedback was obtained from Syariah law experts as well as experts from the judicial sector before the court was formulated. He added that there was no need for amendments to the law as the setting up of the special court only involved the administration aspect and the assigning of specialised judges and court. It was revealed that a total of 50,521 cases were registered at the Federal Territory Syariah Court between 2013 and 2017, with some of them taking over six months to settle. Women, Family and Community Development Minister Datuk Seri Rohani Abdul Karim said the special court would help resolve the backlog of cases and to ensure that none would drag on for months or even years. "The important thing is so that all those involved can carry on with their lives, especially in regards to child custody," she said. Rohani hoped other states with high divorce cases would follow suit, naming, in particular, the states of Selangor, Sabah and Sarawak. Also present were Federal Territory Syarie chief prosecutor Ibrahim Deris and Federal Territories Mufti Datuk Dr Zulkifli Mohamad Al-Bakri.